Consultant Paediatric Gastroenterologist and Interventional Endoscopist – Professor in Paediatric Gastroenterology. 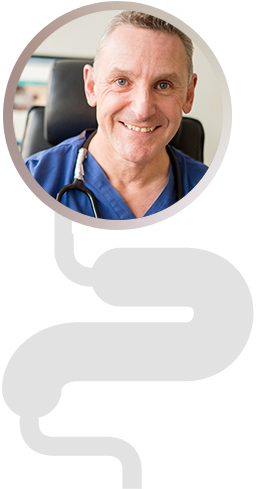 Professor Mike Thomson MBChB DCH FRCP FRCPCH MD was trained firstly in Paediatrics then in the sub-speciality of Paediatric Gastroenterology and also focused widely on Paediatric Hepatology and Paediatric Nutrition. He was a Consultant at the Centre for Paediatric Gastroenterology and Nutrition at the Royal Free Hospital for nearly 10 years before moving in 2004 to the Centre for Paediatric Gastroenterology at Sheffield Children's Hospital. Professor Thomson works at The Portland Hospital in Central London one or two days a week and has done so for the last 20 years. He also works at Thornbury Hospital in Sheffield outside normal NHS working hours.